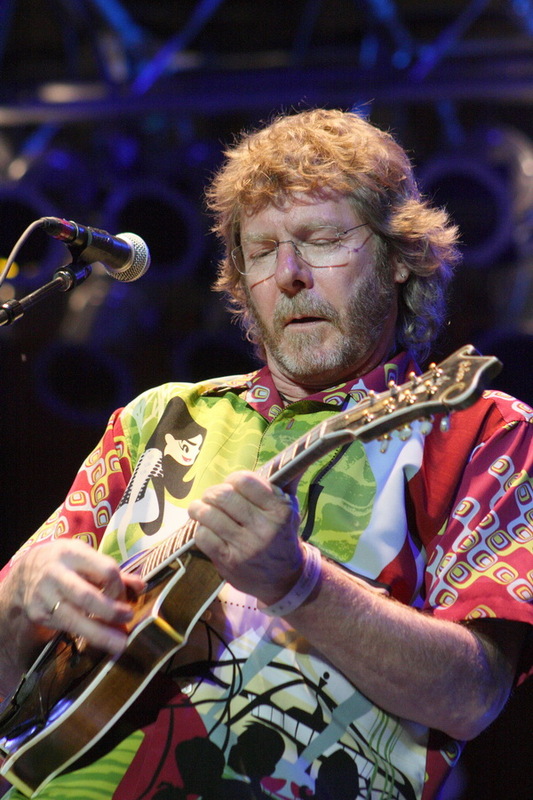 Three-time Grammy-winner Sam Bush of Bowling Green, Kentucky is an extraordinary mandolin player, an artful songwriter, and a dynamic singer who has been wowing audiences since the early 1970s when he co-founded the pioneering progressive bluegrass band, New Grass Revival. Since then, he’s recorded more than 20 albums, including seven solo releases, been dubbed the King of Telluride in honor of his many sizzling performances at the Telluride Bluegrass Festival, and earned a Lifetime Achievement Award from the Americana Music Association. In addition, the International Bluegrass Music Association has named him Mandolin Player of the Year four times and the State of Kentucky has declared him the Father of Newgrass. Oh, and he was the National Junior Fiddle Champion three times. “I’ve been pretty lucky to play with almost every one of my heroes,” he says. “I’ve gotten to play with Bill Monroe, Doc Watson, Earl Scruggs, I’ve been to the mountain.” He’s also worked with such stalwarts as Emmylou Harris, Bela Fleck, Charlie Haden, Lyle Lovett, and Garth Brooks.